When you live in a college dorm room, cooking is optional. That is until you've eaten in the same college cafeteria for a few months in a row. Then, cooking in your college dorm room becomes extremely necessary. 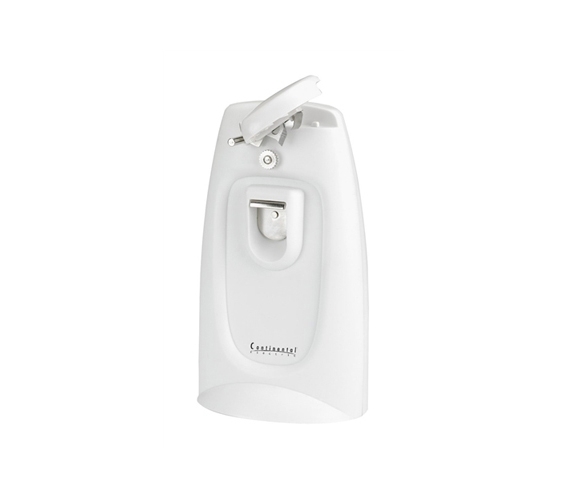 Our Extra-Tall Stainless Steel Blade Can Opener is a college cooking supply every college student should have in his or her dorm life survival kit.You don't consider opening up a can of soup and throwing it in the microwave cooking? Fair enough, but when you need a quick meal in your college dorm room a can of soup is as good as it gets. Our dorm Blade Can Opener can be used for more than just soup cans. Use our college opener with tabs and plastic and metal bottle caps. The tough cutting head of of dorm opener is also removable. Not only does our Can Opener have a Magnetic Lid Lifter, but it also has a Knife and Scissor Sharpener. With a versatile college cooking supply like our Extra-Tall Stainless Steel Blade Can Opener in your college cooking supplies, you'll never go to bed hungry. Having canned food in your college dorm room is always a good idea because you never know when you'll have to pull an all nighter. College dining halls usually close pretty early, so if you get hungry late at night in your dorm room, you're out of luck. But with our durable dorm can opener and blade sharpener, your appetite will always be satisfied, no matter how late it is.